Updated 06-21-2018 --- Minor fixes to a bunch of things; however, upgrading the mod should not be required at this time if you have a previous version. Note (Dec. 28, 2017) - I released a bugfix today which fixes the issue of Sims awoken by a loud noise not reacting with their fingers to their ears. See Bugfixes - It's a Crying Shame if you are interested in having this fixed in your game. While designing a new bedroom for some recently aged up twins, I started thinking the larger family might require more preparation time in the morning for the kids to make it to school on time. I had already written the Wakeup Early mod, which works well still (amazingly), but wouldn't it be nice to have actual alarm clocks? So I went on a search to find some, but the only alarm clocks I actually found were some static decorative alarm clocks. Elias943 had done a wonderful job on these TS2 to TS4 conversions, and I thought it was a shame that they didn't actually function. So I set to work looking at how it could be done. The result was a new set of tuning which actually enables the clocks to wake up sims at the set time. With Elias943's gracious permission, I have included all three of his most excellent conversions modified to use this new tuning. These clocks are available for purchase in the bedroom and electronics/miscellaneous categories: the IKEA PS Clock, CyberChronometer Alarm Clock, and the Get Up! Alarm Clock. The last one being a wind-up alarm clock has the additional feature that it doesn't require power to operate, so your sims can't wake up late just because the power got turned off during the night! Once placed, simply click the clock and choose what hour you want the alarm to ring. Any sims in that room will wake up to the loud noise of the alarm at the selected time. The alarm time is of course retained once set, so simply set once and forget it. You can always change the alarm, or turn it off as well. ReubenHood's Sleep All Night mod is a highly recommended companion mod for these clocks. 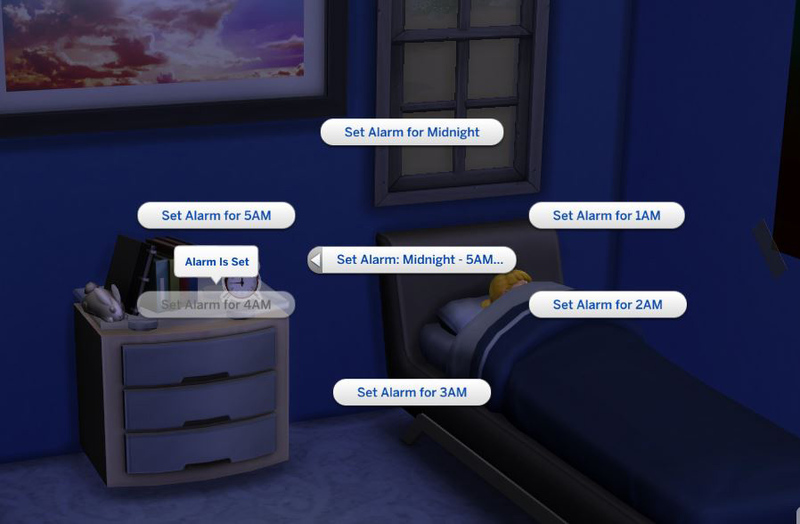 This mod will ensure that your sims don't wake up too early and will get up when you want them to. Since ReubenHood hasn't been around for a while, I have checked and used his mod and it is still functioning perfectly as of the January 7, 2016 game patch. Please Note - These clocks will conflict with Elias943's original conversions. So if you have previously downloaded his clocks, you should remove the alarmclock1, alarmclock2 and alarmclock3 packages from your mods folder. Any clocks you have already placed as decoration will be upgraded to functional after installing this new package. This mod was created using The Sims 4 1.44.77.1020 (June 19, 2018), and may not be compatible with earlier versions of the game. To install simply unzip the package from the download into your mods folder. It can be placed in a subfolder if you wish to organize things neatly. Again, be sure to remove Elias943's original alarm clocks if you install this. There is also a "Separated" zip file, which contains the base mod and each of the three clocks in separate package files. You must install the base mod package, and at least one of the clocks. If you want to install all three clocks, just use the main zip file which contains everything in one package file. If you wish to make additional working alarm clocks, simply set your object's OBJD Tuning and TuningID entries to one of the two provided in this package and point your downloaders to get a copy of this mod. You do not need to include the tuning XML from the mod in your object if the user has this package installed. If you wish, I will add a link to your compatible downloads here. The _NP version of the object is for clocks that do not require power. The non _NP objects will be non-functional if the sim's power is turned off. 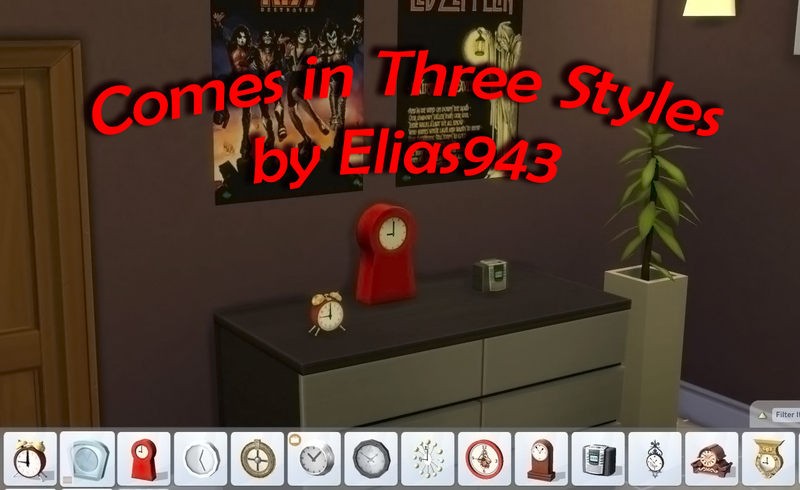 Elias943 for his excellent TS2 to TS4 alarm clock conversions. 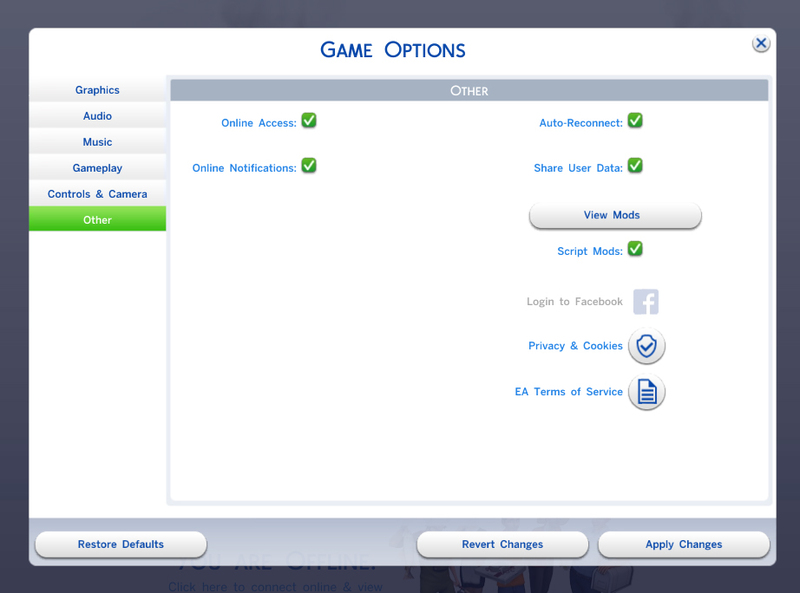 Velocitygrass for the Sims4Data tool. Use only one of the downloads below. The "Separated" zip file contains the base mod and each clock as a separate package file, while the other zip file contains everything in one package.